The 2014 JHU International ACG User Conference was April 27-30, 2014, in Seattle, Washington. Attendees may view and download presentations by first registering on the ACG System website and then entering the Access Code provided at conference registration. 2014 JHU International ACG User Conference Presentations. New markers and measures; 15 new EDCs, 3 new Rx-MGs and more! 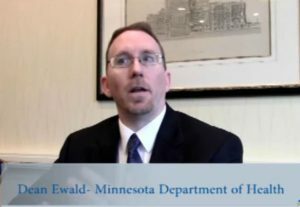 Dean Ewald from the Minnesota Department of Health talks about the value of attending the ACG Conference. Steep Increase of Registered Diagnosis Due to New Primary Care Funding Model —Martin Fredriksson Region Västra Götaland Medical Advisor at Healtcare Department M.D. Ph.D.